I love this album cover! I love the music on the album! The group "Le Peuple" had its origins in a split from the legendary Bantous de la Capitale, the foremost musical congregation on the Brazzaville side of the Congo River. Fronted at first by the vocalists Célestin Kouka, Pamelo Mounk'a, and Kosmos Moutouari (or "Trio Ce.Pa.Kos. "), the group, led by Célestin Kouka, soldiered on after Pamelo and Kosmos departed for solo careers. 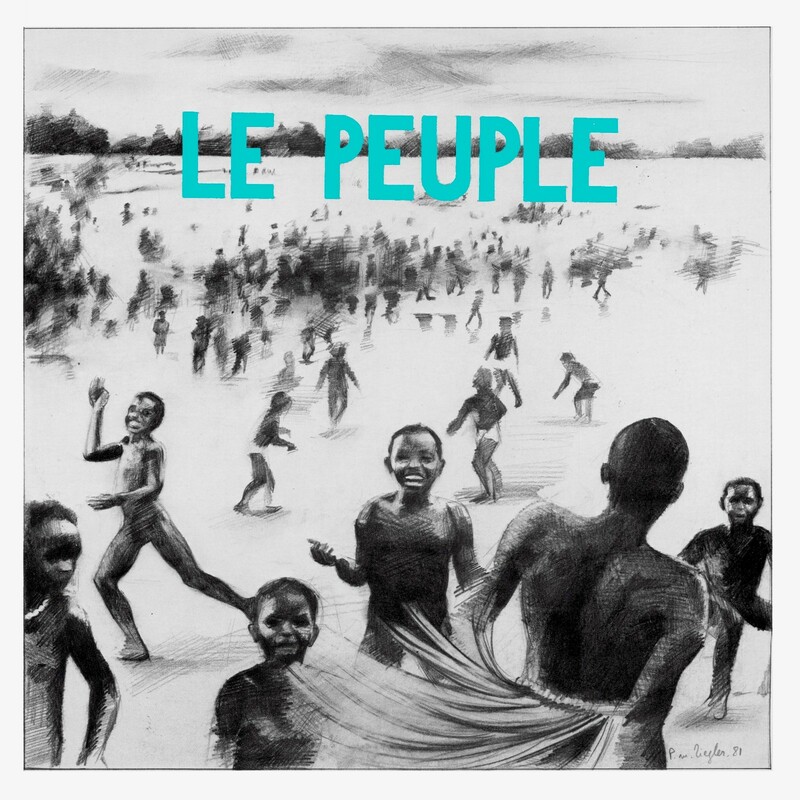 Le Peuple disbanded in 1985. This album, Bimbeni (Production Le Vaudou VAU 008), is from the post-Ce.Pa.Kos. period, sometime in the early '80s. Enjoy! Download Bimbeni as a zipped file here. As promised in an earlier post, here are Volumes 5 and 6 of the series Rochereau Vols. 1-8, released by Disco Stock in Abidjan in 1982. The first four, Rochereau à Abidjan, did not get a lot of circulation outside of West Africa, but the last four were licensed by the African Record Centre in Brooklyn. Congo's great Tabu Ley, nicknamed "Rochereau," is showcased to great effect in these wonderful albums. The no-frills production brings the voices to the fore while leaving plenty of room for the (uncredited!) backup musicians to display their chops. And some of the most-loved songs in Tabu Ley's repertoire - "On a Raconte," "Mazé" and "Sorozo" - are included. On listening to these recordings, it struck me that the rhythm guitar ostinato on "On a Raconté," probably recorded in '81 or ''82, sounded awfully familiar. Compare it to 1985's "Haleluya" by Orchestra Simba Wanyika from Tanzania/Kenya. Was the later recording inspired by the first? Or is this a case of parallel evolution? The rhythm guitarist on "Haleluya" is probably George Peter Kinyonga, but who plays on "On a Raconté?" The liner notes give us no clue. Can someone out there enlighten us? Go here to download Jalousie Mal Placée as a zipped file. Download Mazé as a zipped file here. Labels: Congo, Lingala, Soukous, Tabu Ley "Rochereau"
Happy New Year! Bonne Année! And here with us to celebrate the new year are Lokassa Ya M'Bongo, Sam Mangwana and the African All Stars with an LP appropriately entitled Bonne Année (Star Musique SMP 6039, 1983). This album was recorded in Abidjan where the African All Stars were at the peak of their powers, creating a new iteration of Congolese rumba that would soon sweep the continent. All the gang is here - Lokassa on rhythm guitar, Dizzy Mandjeku on lead, Ringo Moya on percussion, ably fronted by the great Sam Mangwana on lead vocals, with Nayanka Bell and Chantal Taiba on backup. Unfortunately, like a lot of these African Record Centre productions, the sound quality is not exactly ideal. I got it factory-sealed many years ago, but I suspect it was produced from a second- or third-generation master tape. I hope you'll enjoy it anyway. Bonne Année! Download Bonne Anné as a zipped file here. 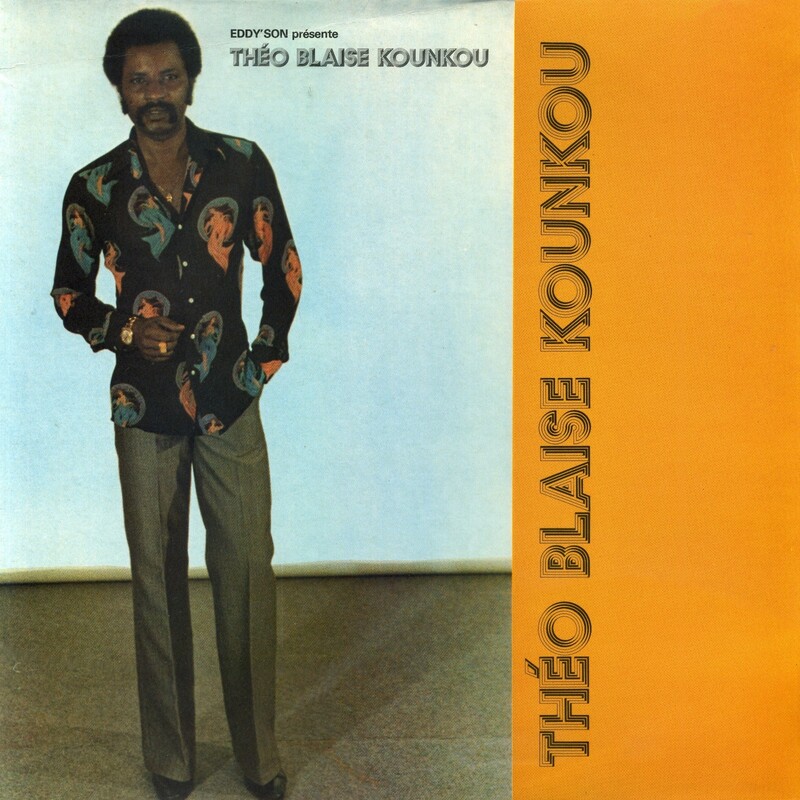 Théo Blaise Kounkou is one of those African musicians who, while building substantial careers and achieving popularity throughout Africa and the diaspora, have received little notice in the broader musical community. This is a shame. Blaise was born in Brazzaville on April 24, 1950 in the former French Congo. Here he performed with various groups, notably Les Grands As. It was in Abidjan, Ivory Coast, however, that he really made his mark as part of Sam Mangwana's groundbreaking African All-Stars. The All-Stars lasted only from 1978-79 in their original incarnation (reemerging in later years as Mangwana's backup band). They revolutionized the existing Congo music paradigm, speeding up the tempo and introducing various pop and funk influences. The group toured West Africa from Nigeria to Senegal and has had a lasting influence on the music of the region. After the All-Stars broke up most of the members, including Mangwana, Lokassa Ya M'Bongo, Bopol Mansiamina, Syran M'Benza and Blaise, gravitated to Paris, where they formed the nucleus of the burgeoning African music scene in that country. 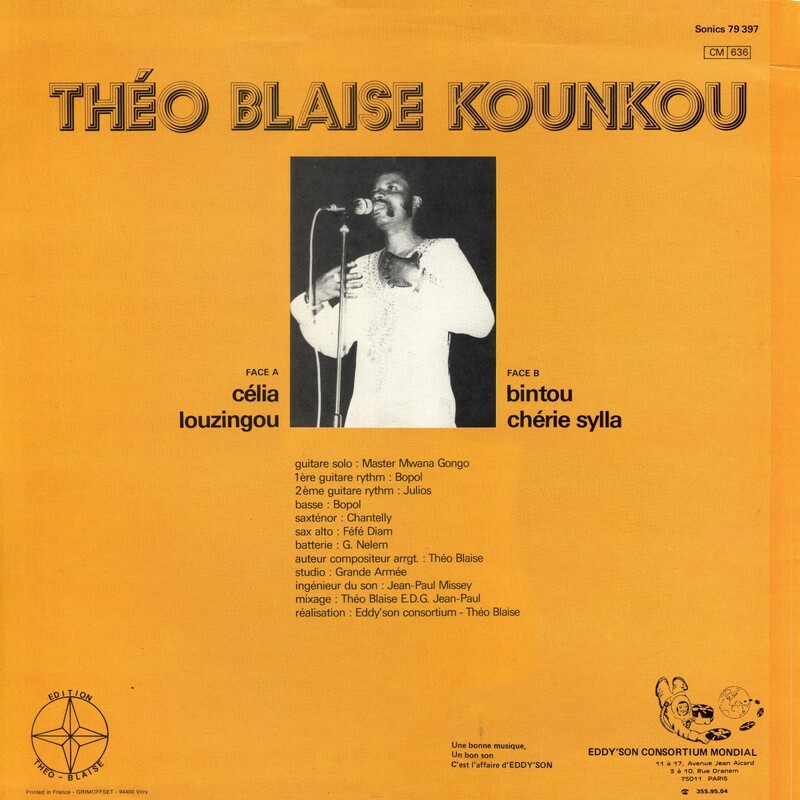 It was here that Théo Blaise Kounkou recorded at least a dozen solo LPs. Back in the early '90s a series of three CDs, Le Plus Grands Succès Vols. 1-3, was released, compiling some of the highlights, but far from all. Not included in any of those volumes are the tracks from today's offering, Célia (Disques Sonics SONIC 79 397, 1983). Célia is classic Blaise, showcasing not only his lovely voice but a lineup of crack session musicians, including not only Bopol Mansiamina on bass and rythm guitar but the brilliant Master Mwana Congo on lead. It's a highlight of the classic 1980s Congo sound! Download Celia as a zipped file here. No sooner had I posted Likembe's last offering then I realized that I had another, similar pressing. 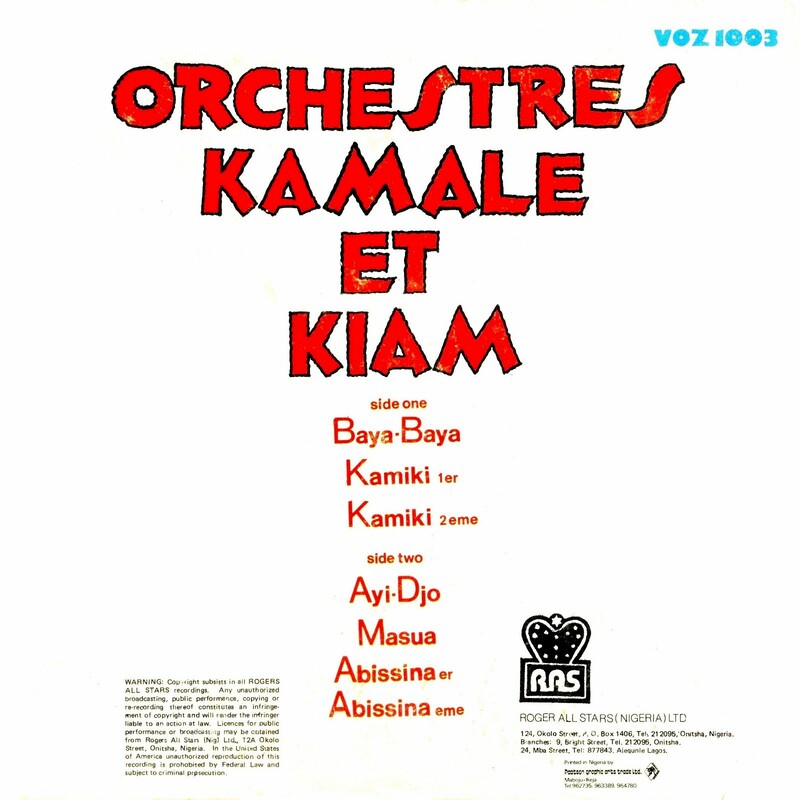 Orchestres Kamale et Kiam was issued in 1981 by Rogers All Stars records in Onitsha, Nigeria on license from Editions Vévé in Kinshasa, reference number VOZ 1003. I now present Voice of Zaïre Vol. 1, VOZ 1001 in the same series. I presume there is a VOZ 1002 and even other volumes, but I've been unable to find out about any. Although they were issued in the '80s in Nigeria, the songs on these collections were all recorded in the '70s. It all goes to demonstrate the great popularity of the Congo sound in Eastern Nigeria during the '70s and '80s, and especially the productions of Kiamwuangana Mateta "Verckys." Perusing Alastair Johnston's excellent overview, "Verckys and Vévé: A Critical Discography," I see that the songs in this collection haven't had a lot of distribution outside of Africa. Several were featured in the Sonodisc/African "360" series issued in France, now long out of print. A couple were included on CD reissues and may still be available in that format. Nonetheless, listening to these tracks should evoke a sense of déjà vu. They've been remade numerous times and included on medleys by such artists as the Soukous Stars and Soukous Vibration. Moreover, they acheived such widespread distribution back in the day that they're part of the DNA of African music from Kenya to Senegal. 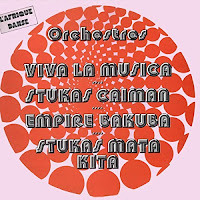 A comment on YouTube about Orchestre Kiam's "Masumu" is representative: "...I was a little boy at that time when my late Daddy and his Seamen friends used to rock those songs on a 45 rpm turntable. Guinness was 30c, Heineken 25c in Sierra Leone. Music is sure History...."
All of these bands have been featured on previous Likembe posts, which you can access here. 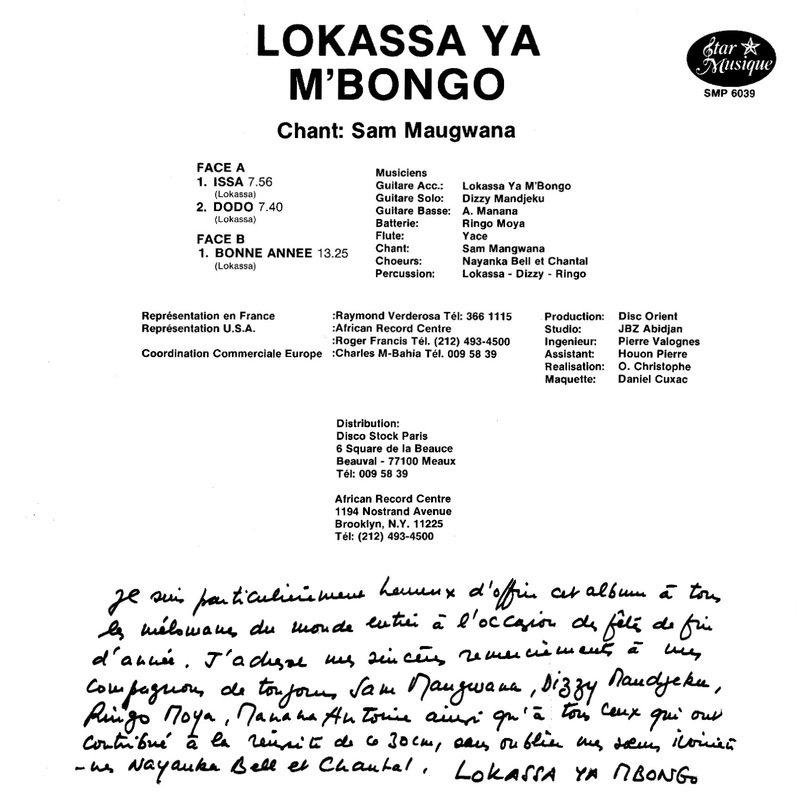 Another version of Orchestre Vévé's "Lukani" was included on this post. 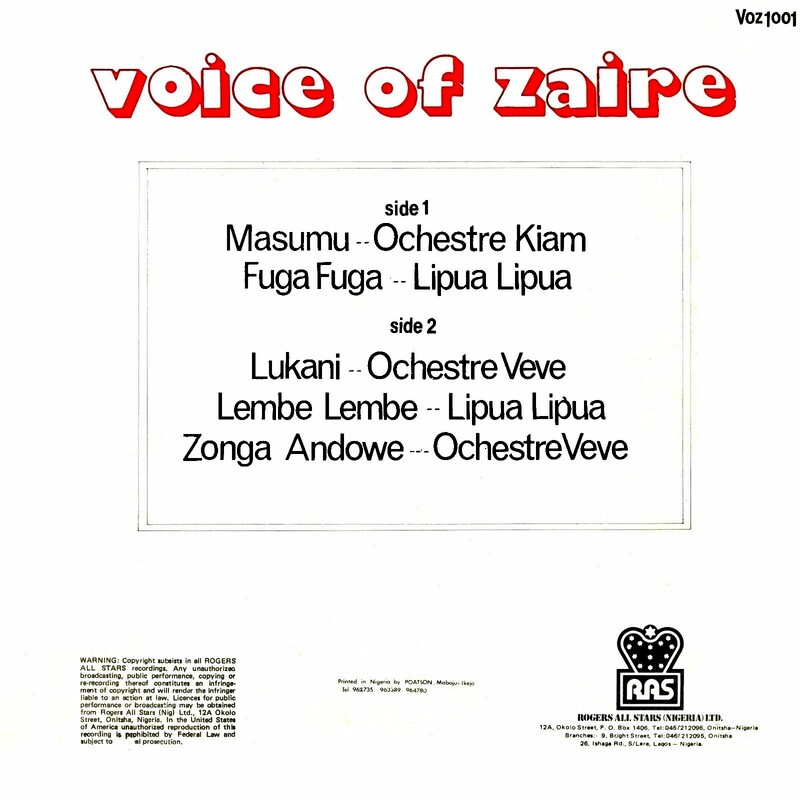 Download Voice of Zaïre Vol.1 as a zipped file here. Today's post covers some old ground - classic orchestras from the stable of wunderkind Kiamwuangana Mateta, aka "Verckys," the musician and producer who blew up the Congo music scene back in the 1970s. A lot of this music has been posted in other venues, in fact a couple songs were featured here previously at Likembe. 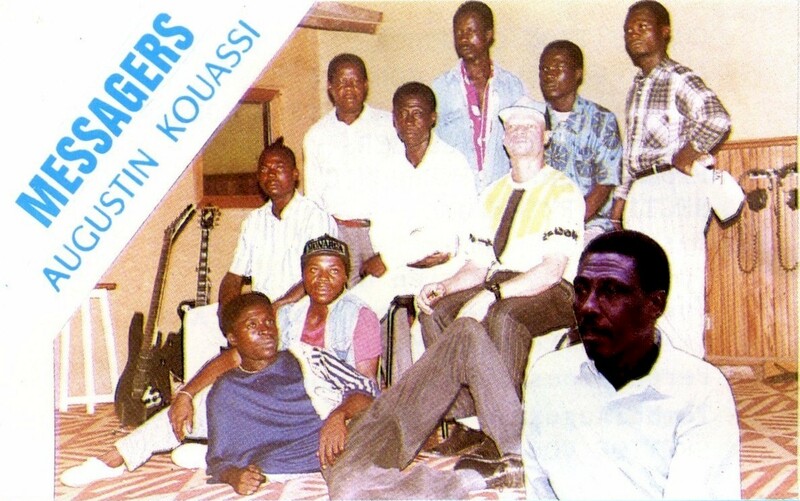 Still, I thought it would be useful to post Orchestres Kamale et Kiam (Vévé-Rogers All Stars VOZ 1003, 1982), as it gives an insight into the sort of Congolese sounds that Nigerians were listening to in the '70s and '80s. This LP was licensed from Verckys' label Vévé and pressed in Nigeria by Onitsha-based Rogers All Stars. 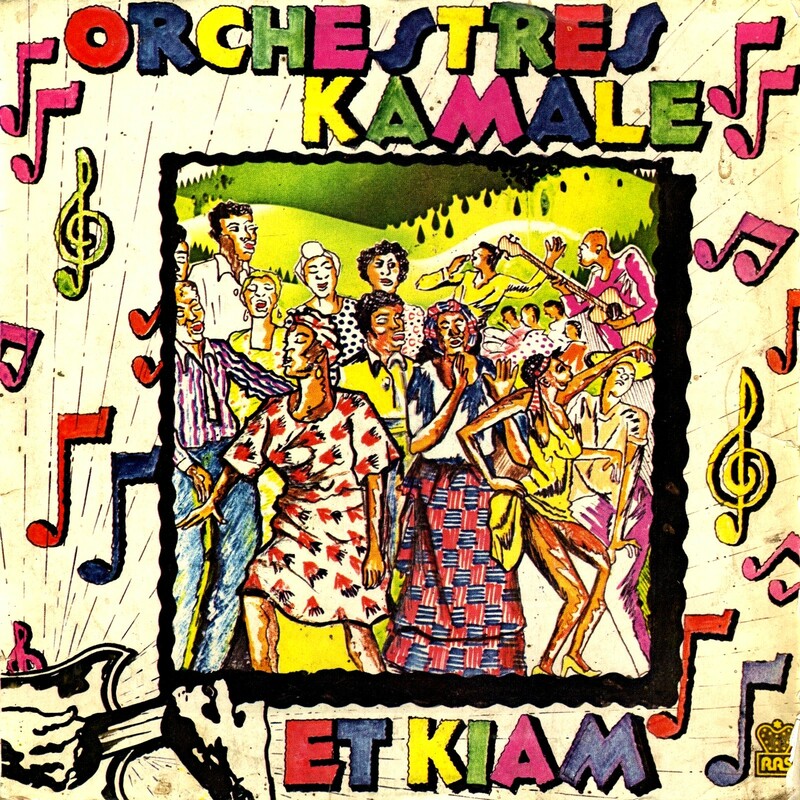 Side One of the LP features Orchestre Kiam, Side Two Orchestre Kamale. As was often the case at the time, at least for Nigerian releases of Congo music, most of these tracks are not complete, featuring only one side of the 45 versions. If you're interested, I've provided a link at the end of this post so you can download the complete versions. My friend Matt Lavoie, formerly of the Voice of America, currently proprietor of the essential Wallahi le Zein! blog and Orchestre Kiam fanatic, has done the monumental work of compiling an oral history of the band. Do yourself a favor by going to his site, downloading and reading it and also downloading an almost-complete collection of their recordings. In Matt's telling, the musicians who became Kiam were "poached" by Verckys in 1973 from Papa Noel's Orchestre Bamboula when he brought them into the studio for a recording session! He christened the group after his own first name, and under his supervision they recorded a series of hits that made them a sensation in Kinshasa and throughout Africa. Success, and Verckys's stifling sponsorship, brought dissension, and in 1975 a group of band members decamped to form Orchestre Baya-Baya, named after one of the group's early hits. With a new lineup, and with most of the defectors returning to the band after a while, Kiam acheived even greater heights, releasing in 1976 "Kamiki," their biggest hit ever, and a pan-African smash. 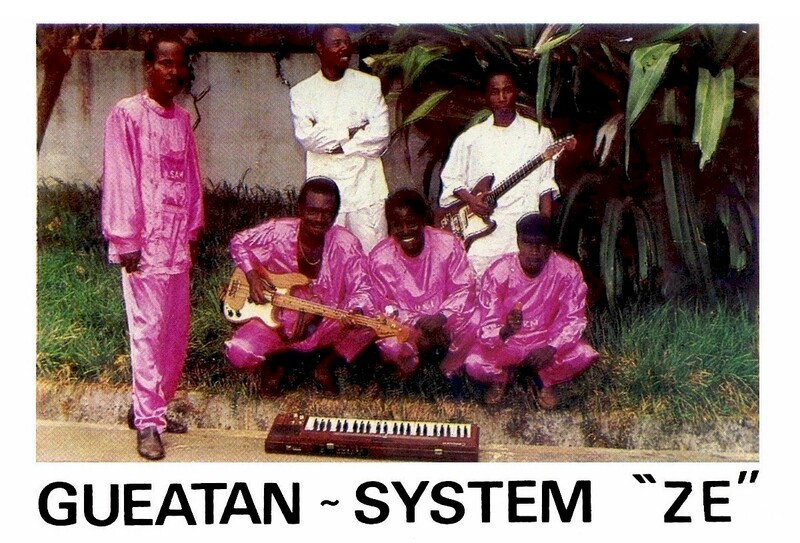 By 1983 Orchestre Kiam had been dissolved, but alumni have played important roles in the Congo music scene to this day. Orchestre Les Kamale is perhaps better known internationally thanks to the success of its leader Nyboma Mwan'dido. Nyboma was a singer with the Vévé group Orchestre Lipua-Lipua in 1975 when he split off to form Orchestre Les Kamale. This group divided in turn in 1978, a number of musicians leaving to form Orchestre Fuka Fuka and Nyboma reorganizing the remnant. Nyboma then broke with Verckys and set off on a journey across Africa and eventually to Paris, in the meantime recording the classic LP Double Double, which received international distribution. He's well-known both as a solo artist and as a member of Les Quatre Etoiles, the Congolese super-group. Download Orchestres Kamale et Kiam as a zipped file here. Click here to download complete versions of "Baya Baya," "Moni Afinda," "Ayi-Djo" and "Masua." Just about everyone in the United States who started collecting African music in the 1970s and '80s is familiar with the productions of Brooklyn's African Record Centre, with its labels Makossa, Star Musique and others. Back in those days it was pretty much the only source in the US for authentic African music, by which I mean the sort of stuff that's listened to in Africa itself. The ARC licensed many recordings by Fela Ransome-Kuti (later Fela Anikulapo-Kuti), then only known to a small but devoted coterie. It released a raft of funky Ghanaian guitar-highlife records, recordings by Franco and other "Zaïrean" artists, 12" benga records produced by Kenya's indomitable P.O. Kanindo, and an amazing series by the US-based Sierra Leonean group Muyei Power, some of which have been gathered into a retrospective by London's Soundway Records. These recordings would make their way through obscure distribution channels to record stores throughout the land, where perplexed clerks would stash them in the "International" bin along with records by Nana Mouskouri and Heino. "World Music™" had yet to be born! By 1983 I had already been a fan of Fela's for a while, King Sunny Adé had made a splash, and in 1981 and '82 Mango Records had released two compilations of African music, Sound d'Afrique and Sound d'Afrique II: Soukous, both of which were revelations but especially the second, which showcased the music of the Democratic Republic of Congo, then called Zaïre. So, during a trip to New York City I had to make a pilgrimage to 1194 Nostrand Ave. in Brooklyn, this Mecca of African sounds. I have to say the store was everything I'd hoped for, crammed to the gills with not only ARC's own productions but even more mysterious imports actually pressed in Africa! I wasn't exactly flush with cash at the time - I could only afford five LPs. I got a couple of Sunny Adé Nigerian pressings, and a French reissue of Fela's Coffin for Head of State. What would the fourth and fifth ones be? I liked the Zaïrean music I'd heard - could the clerk make a recommendation? It turned out Makossa had just released a number of recordings from that country, including the one the clerk handed over - Kele Bibi: Rochereau Vol. 8 (Disco Stock Makossa DM 5001, 1982), by an artist I'd never heard of - "Seigneur Tabu Ley." According to Wikipedia, Pascal-Emmanuel Sinamoyi Tabu was born November 13, 1937 or 1940 in Bagata, in what was then the Belgian Congo. He came by his nickname "Rochereau" after correctly naming the French general Pierre Philippe Denfert-Rochereau in a quiz at school. In 1956 he joined African Jazz, the musical congregation of Joseph Athanase Tshamala Kabasele, or Le Grand Kallé, considered the father of modern Congolese music, and notched a number of hits with the group before leaving with Nicolas Kasanda wa Mikalay (known as Docteur Nico) in 1963 to form African Fiesta. This group split in turn in 1965, Rochereau forming African Fiesta National, renamed Afrisa International in 1970. Around this time he also took on the stage name "Tabu Ley" as part of President Mobutu Sese-Seko's Authenticité campaign. During the '70s Afrisa International vied with Franco's TPOK Jazz and other groups to popularize Congolese music around the world, making it the most widespread and popular style across Africa. During this period Afrisa performed at the legendary Zaïre '74 concert, during FESTAC '77 in Lagos, and at the Olympia Theater in Paris. 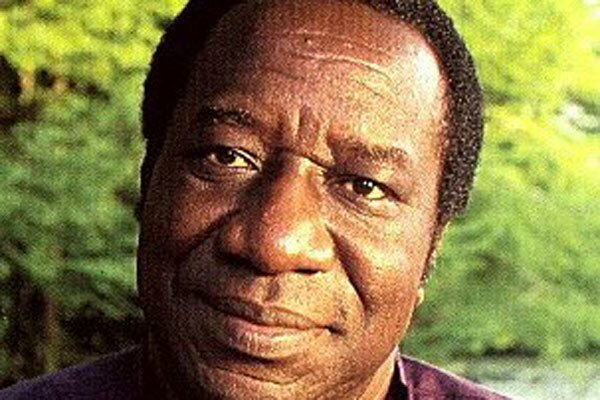 It was Rochereau's lovely voice that made him a star, instantly recognizable on such classic tunes as "Afrika Mokili Mobimba" and many others, but it was his stage show and musical innovations that kept him on top for many years. Elvis, of course, was an inspiration, but so were James Brown and other American R&B stars. 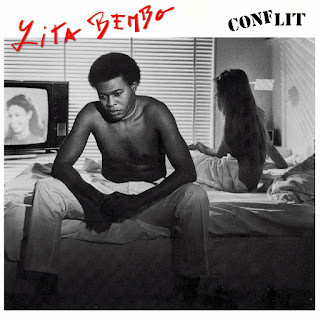 He even did a cover of the Beatles classic "Let it Be"
M'Bilia Bel (born Marie-Claire M'Bilia M'boyo in Kinshasa in 1959) got started as a singer and dancer with Abeti Masikini. Here she was spotted by Tabu Ley and invited to join his female backup group, the Rocherettes.She performed with them for a few years before making Mpeve Ya Longo with Ley, her recording debut. She was an immediate hit and soon cut a solo album, Eswi Yo Wapi (Genidia GEN 102, 1983), with more recordings, solo and with Tabu Ley, to follow. The pair were soon married, with Bel as the junior wife in Rochereau's polygamous marriage. The two albums showcased here, Mpeve Ya Longo and Kele Bibi, come at an interesting inflection point in the careers of the two artists. The following year, 1983, would see the release of several recordings on Rochereau's Genidia label that catapulted the pair to international fame, with more to follow over the next few years. A compilation on the Shanachie label, Rochereau (43017, 1984) introduced them to US audiences. A few years ago Sterns Music released The Voice of Lightness Vol. 2 by Tabu Ley (STCD 3056-57, 2010) and Bel Canto by M'Bilia Bel (STCD 3037-38, 2007), which showcase the best music of the Genidia years. The sound of Mpeve Ya Longo and Kele Bibi is subtly different from the Genidia recordings. I don't know if it's because of different recording engineers or what, but the mixes here are looser-sounding, less polished and push the vocals to the forefront while making way for some really inspired instrumental jams. Truly infectious! After several years and one child together, the personal and professional partnership of Tabu Ley and M'Bilia Bel came to an acrimonius end in 1987, allegedly over disrespect shown by Bel to Tabu Ley's senior wife, Mimi Ley. Whatever the reason, Bel's career on her own, after a promising start with 1988's Phènomené (Mbilia Production MCB 001), has declined over the years, although she continues to record and tour. Following Bel's departure, Rochereau hooked up with two new female singers, Faya Tess and her sister Beyou Ciel, and continued to record and tour internationally. After the fall of Presidnet Mobutu Sese-Seko in 1997 he took a cabinet position in the new government of Joseph Kabila and followed that up with several other positions over the years. He passed away on November 30, 2013 in Belgium and was buried in Kinshasa after an official mourning ceremony. Download Kele Bibi as a zipped file here. I have Vols. 5 and 6 of this series also, and I might post them in the future.While researching this post I came across this rare video, which reunites Rochereau with his old partner, Docteur Nico. I suspect this was recorded in the early '80s, shortly before Nico's death, but he's in stellar form! Turns out this was uploaded by Stefan Werdekker of the excellent WorldService blog. Thaks, Stefan! Labels: Congo, Lingala, M'Bilia Bel, Soukous, Tabu Ley "Rochereau"
Augustin Kouassi is an Ivorian musician who's apparently been around the block a few times. Discogs lists a couple of LPs by his band, Les Messagers de la Paix, apparently from the '80s. Other than that, I can't say much more about him and the group. How many times have I had to say that here? I got today's offering by them way back when it first came out, along with a raft of other cassettes from Ivory Coast, and didn't pay much attention to it then. Man, was I missing out! Mambo Attoh Théophane (Carine Musique CAR 01, 1993) is one of the most addictive recordings I've heard in a long time. Everything about it is first-rate, from Gaiten Kouao's exquiste guitar work to the outstanding vocals (different members take turns singing lead, and the chorus is tight). Of course, Congo music is an influence, and the vocals have that sweet-and-sour quality you hear in West African music from Ghana to the Niger Delta. I'm tempted to label it "Soukous-Highlife," but that just doesn't do it justice. Let the music speak for itself! Download Mambo Attoh Théophane as a zipped file here. 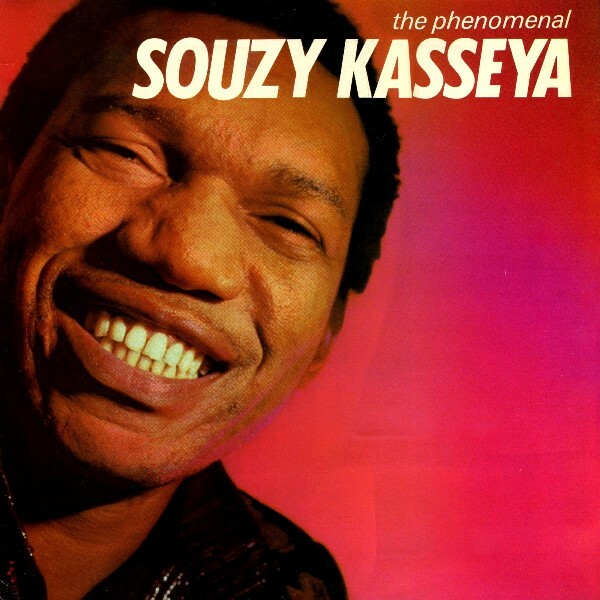 A track from Ivory Coast's Gueatan System was featured on the 1993 release Super Guitar Soukous (Hemisphere 7243 8 28188), a compilation devoted mainly to Congolese musicians. Their music is not really soukous, although there are definite influences in the guitar work, as in the music of other African countries. The group members are from the Dan, or Yacouba, ethnic group, who live in the western part of Ivory Coast, spilling over into Liberia. The Dan are world-renowned for their carved wooden masks and other artwork. Other than that, I can't say anything else about Gueatan System other than that this cassette, Ze (EMI E0183492-4, 1992), is spectacular. Enjoy! Download Ze as a zipped file here. Download The Phenomenal as a zipped file here. Those who can't get enough of this great muscian are invited to browse the Likembe archives here. A compilation I did, African Divas Vol. 1, also features two tracks by Souzy with Tina Dakoury from Ivory Coast and Tshala Muana from the Congo. Le Retour de l'As is available as a download from Global Grooves here. 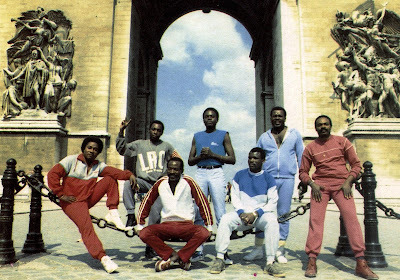 Les Officiers of African Music were a "super-group" formed in the 1980s by Congolese musicians (mainly from the Brazzaville side of the river) in Paris, notably Tchico Tchicaya, Passi-Jo, Ballou Canta and Nianzi Gaulard, "L'Amiral Cheri-Gau," the star of today's offering, Conspiration (Savas SA 30.0048). There's not much to say about this one except it's a primo example of mid-'80s Congo rumba at its best. Enjoy! Download Conspiration as a zipped file here. I was all ready to post today's selection - Baba Gaston's wonderful 1983 release Condition Bi-Msum (ASL ASLP 971) - when I realized that Stefan Werdekker had made it available on his blog WorldService a while back. Should I or shouldn't I, I wondered? Then I decided to go ahead with it. If you missed it before, here's your chance to enjoy some of the sweetest soukous the '80s managed to produce. I've written about Baba Gaston before. He's one of many Congolese musicians who made their way to East Africa during the '70s and '80s. 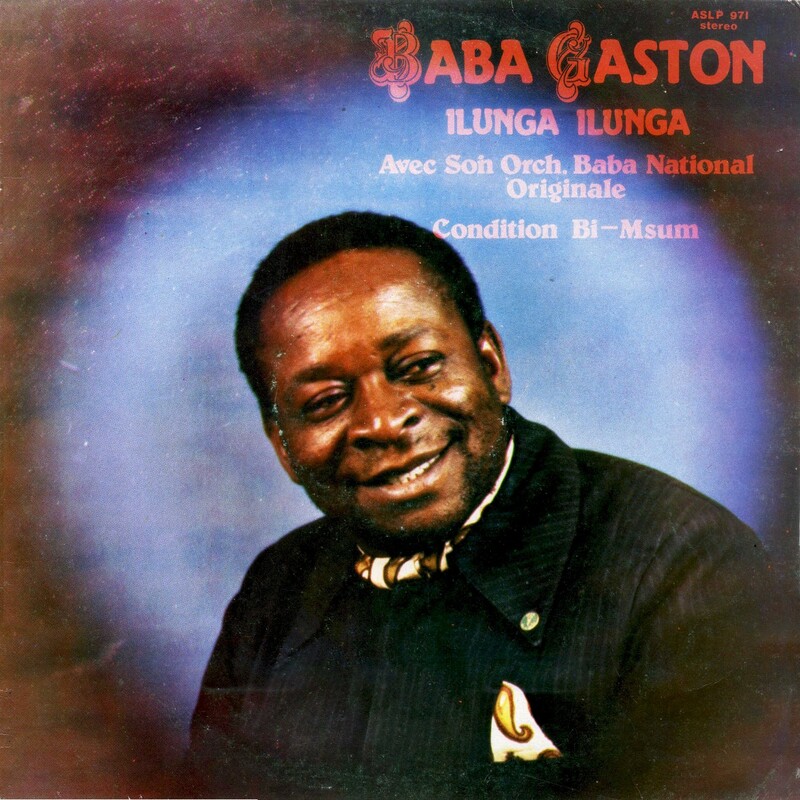 Coming from Lubumbashi in the southern part of then-Zaïre, where Kiswahili was already the lingua franca, it wasn't a difficult transition for Gaston and his Orchestre Baba Nationale to settle down in Dar Es Salaam in 1971, relocating to Nairobi a few years later. Here the band gave rise to many offshoots and a distinctive East African iteration of the classic Congo rumba sound. It all came crashing down in 1985 when foreign musicians were ordered to leave Kenya under President Daniel Arap Moi. Enjoy Condition Bi-Msum. And for more information about Baba Gaston and other Congolese musicians in East Africa, read Alastair Johnston's essential Congo in Kenya. Download Condition Bi-Msum as a zipped file, complete with album and label art, here. It's easy to think of Gaby Lita Bembo as the Wild Man of '70s and '80s Zaïre/Congo music - his unrestained stage antics made him the toast of working-class Kinshasa and a star of television. Bembo's backup group, Orchestre Stukas, was founded by Alida Domingo in 1968, one of many "youth bands" that arose in the late '60s in reaction to the more laid-back sounds of orchestras like OK Jazz, Afrisa and Bantous de la Capitale. The new groups mostly dispensed with horn sections and went for a sound more frantic and based on traditional rhythms. Stukas in particular was notable for the lightning-fast work of its guitarists, starting out with Samunga Tediangaye and transitioning to Bongo Wende and others. Download Conflit as a zipped file, complete with album and label art, here. Biographical information in this post about Lita Bembo and Stukas was taken from the liner notes of the CD Kita Mata ABC (RetroAfric RETRO 18CD, 2005), an excellent career retrospective of the group. You can get it here. 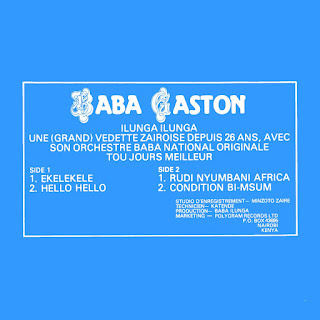 Here's another classic from the last "Golden Age" of Congo music, the 1980s! Wuta Mayi is best known as a member of two Congolese "super groups" - Les Quatre Étoiles, which launched in the early '80s, and Kékélé, from the early years of this century. However, he's had an illustrious career not only guesting on many others' recordings over the years but as a solo artist. He got his start with Jamel National in 1967 and the next year jumped over to Orchestre Bamboula, led by Papa Noël. He was invited to join le Tout Poussaint OK Jazz by Franco in 1974, where he stayed for eight years. The launching of Le Quatre Étoiles in 1982, uniting the talents of Mayi, Nyboma Muan'dido, Bopol Mansiamina and Syran Mbenza, supercharged the African music scene, taking it to new audiences around the world. 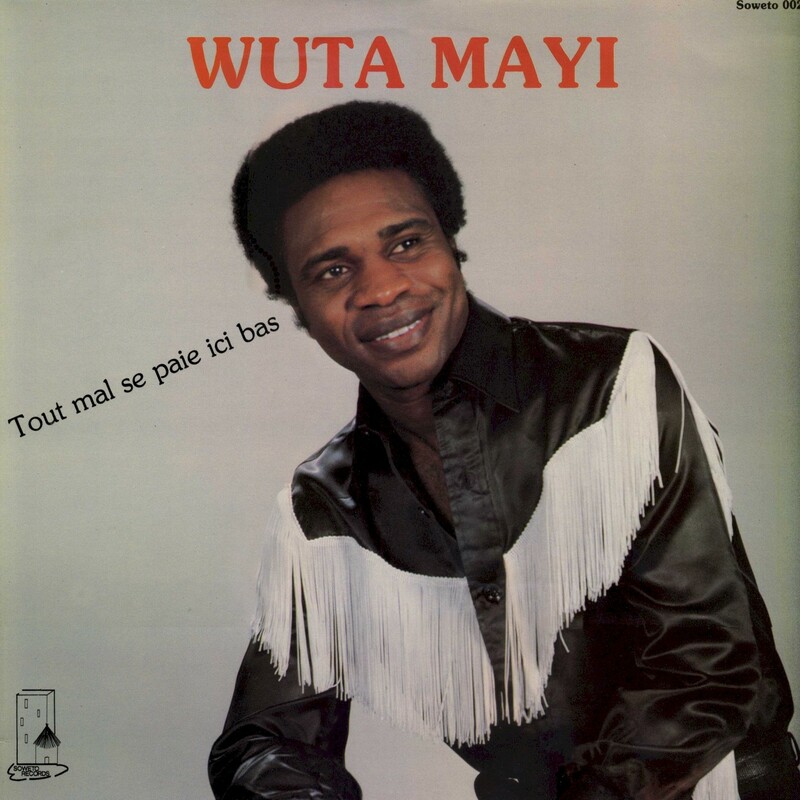 In between stints with Les Quatre Étoiles Wuta Mayi found time to record a number of solo albums including today's offering, Tout Mal Se Paie Ici Bas (Soweto Records 002, 1984). An extra special bonus for this LP is the presence of Souzy Kasseya, whose brilliant guitar work enlivened many recording sessions from Kinshasa to Abidjan to Paris back in the '80s. 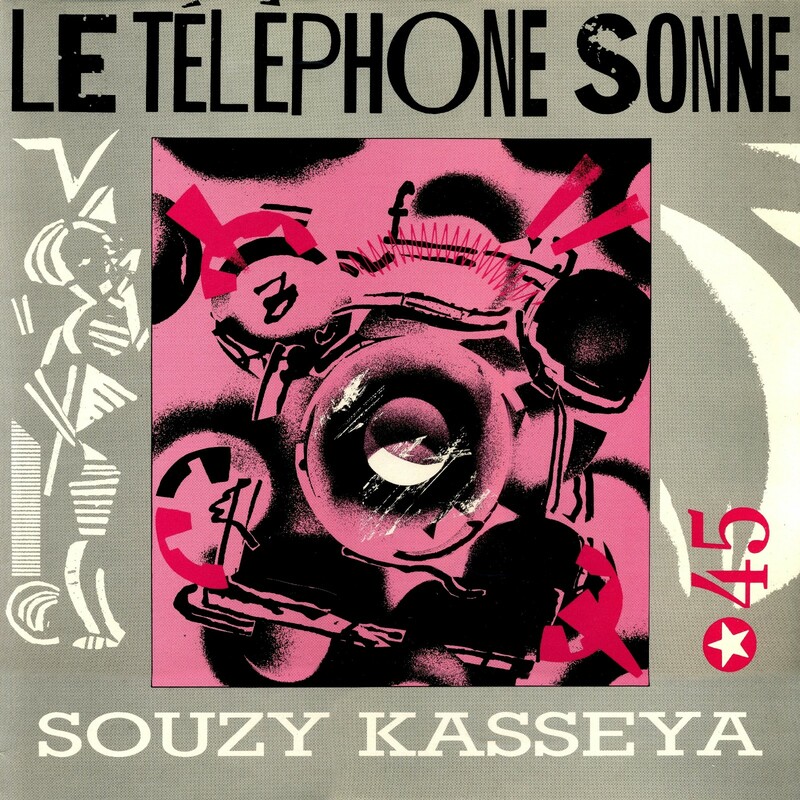 Kasseya had a smash hit in France in 1983 with "Le Téléphone Sonne." Many years ago I posted another tune by him here on Likembe, which you can find here. Souzy's worth a post of his own in the future. In fact, I think I'll do that! 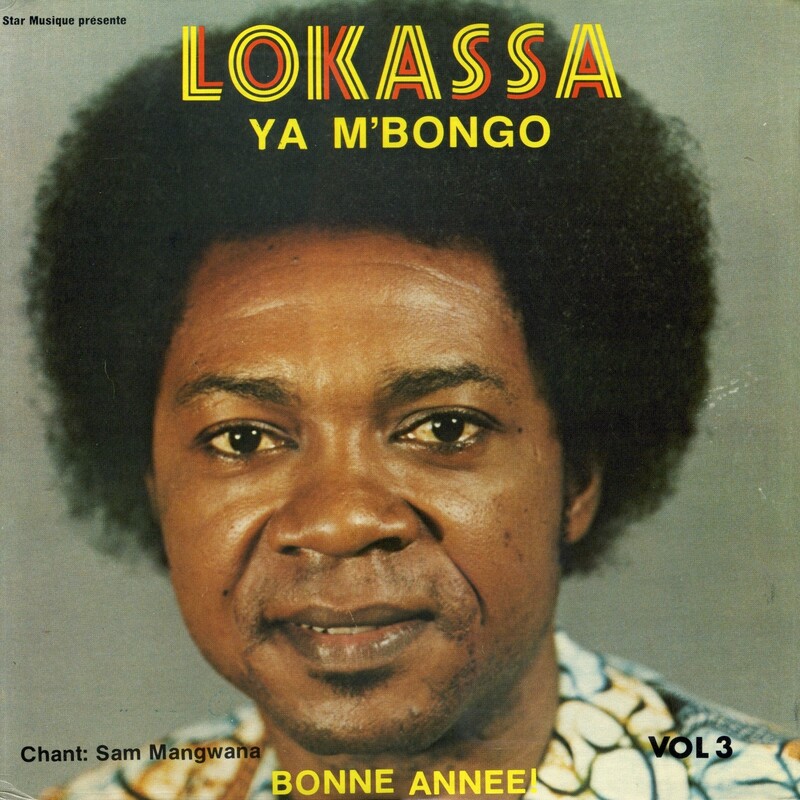 In the meantime, enjoy this slice of sweet Congo soukous! Download Tout Mal Se Paie Ici Bas as a zipped file, complete with album and label art, here. Biographical information in this post courtesy of the liner notes of Rumba Congo (Sterns STCD 1093, 2001) by Kékélé, available here. 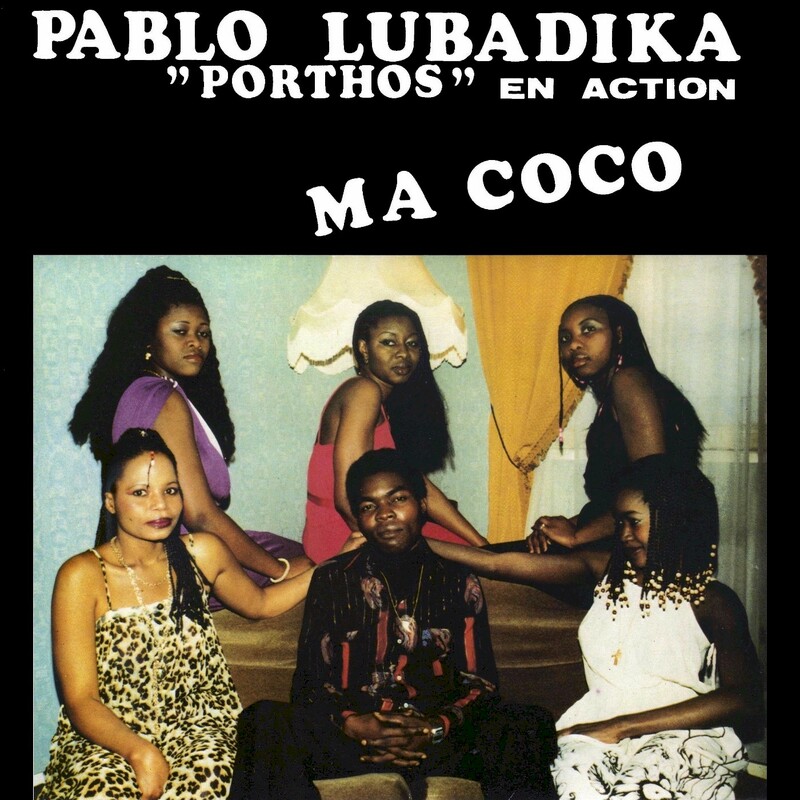 Congolese musician Pablo Lubadika Porthos began his career with several local assemblages in the 1970s, including Kin-Bantou, Lovy du Zaïre and Orchestre Kara before moving to France and becoming ubiquitous as a session musician during the heyday of the Paris-based Congo music scene of the '80s. 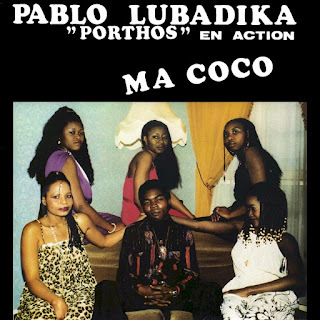 He cut several fine solo albums as well, including today's offering, Ma Coco (Afrohit Discafrique DARL 019), from 1981. 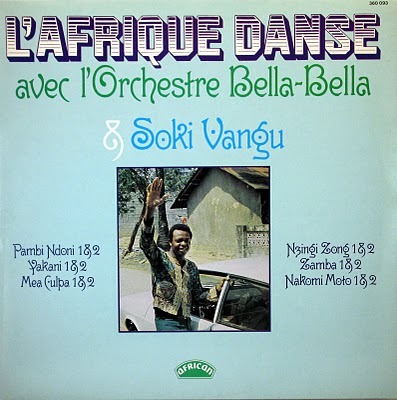 Two tracks from Ma Coco were featured, in truncated form, on the influential compilations Sound d'Afrique (Mango MLPS 9697, 1981) and Sound d'Afrique II: Soukous (Mango MLPS 9754, 1982). Other recordings from Pablo are available for streaming from Apple Music and, I believe, other platforms. Enjoy! Download Ma Coco as a zipped file, complete with album and label art, here. Taking care of some unfinished business today. . . 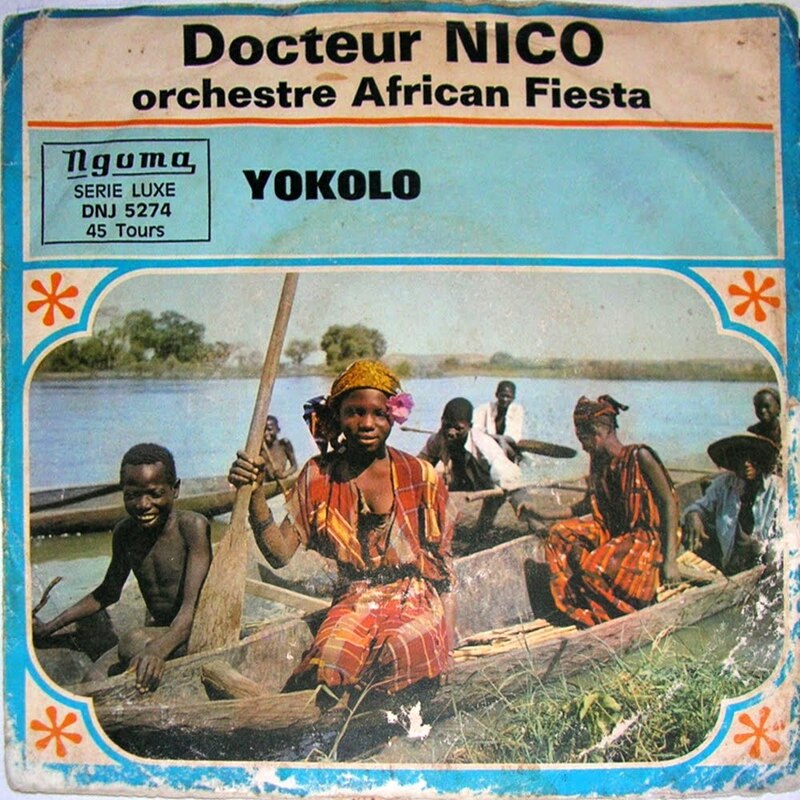 Many thanks to Ken Chijar Ekezie, who provides us with Part Two of the exceedingly rare "Yokolo" by Docteur Nico and Orchestre African Fiesta Sukisa (above). As far as I know, "Yokolo" has only been available in its entirety as Sides A & B of a single issued and re-issued (Sukisa 501 and Ngoma DNJ 5274) sometime in the late '60s. 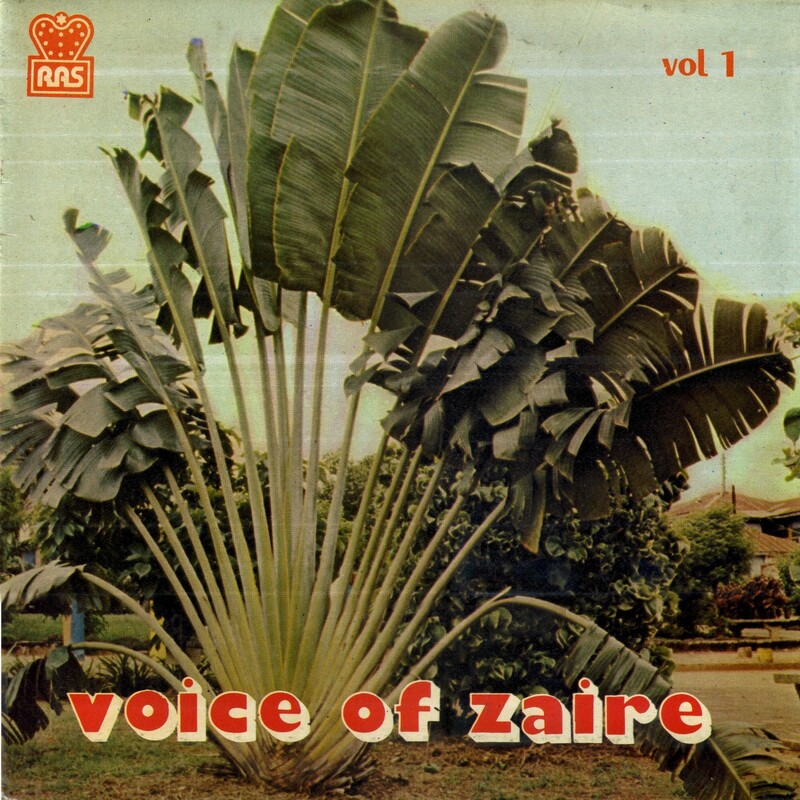 Part One was included on the Nigerian compilation Music From Zaïre Vol. 3 (Soundpoint SOP 043) which I posted here. Loyal Likembe reader/listener Sanaag, who has done so much to enlighten us on the Somali music scene of the '70s and '80s, graces us once again with a better pressing of the LP Famous Songs: Hits of the New Era (Radio Mogadishu SBSLP-102, 1973), this time complete with liner notes! You can get it all here. And thanks once again, Sanaag! Update: Many thanks to African Music Recycler for providing us with a scan of the sleeve for "Yokolo." It gives credit to "Docteur Nico & Orchestre African Fiesta." I'm fairly certain, though, thanks to Alistair Johnston's Docteur Nico Discography, that it is by African Fiesta Sukisa. 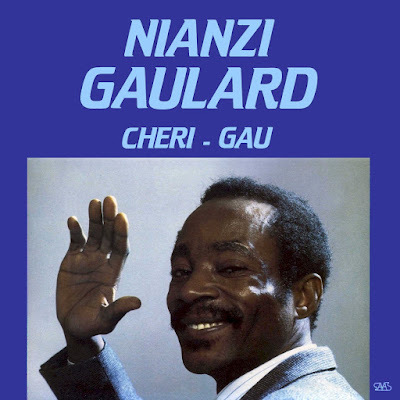 This was Dr. Nico's band following his split with Rochereau, which gave rise to two orchestras, African Fiesta Sukisa and African Fiesta National. Note: This post was updated and corrected on July 3, 2012. The rambunctious saxophone stylings of Kiamwuangana Mateta "Verckys" are a hallmark of many of the 1960s recordings of Congo's great Orchestre OK Jazz. 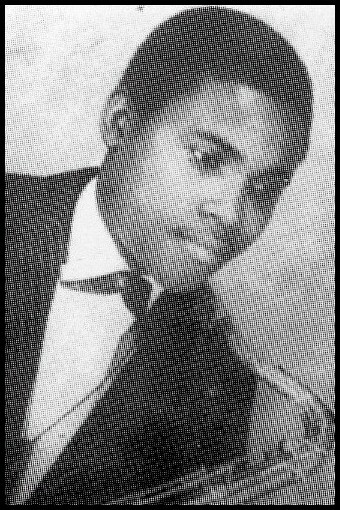 Bandleader Luambo Makiadi Franco is said to have much valued his improvisational style and invocations of American-style R&B, a counterpoint to the rest of the band's more sedate sound.Verckys attempted a mutiny in 1968 while Franco was away in Europe, enticing several of the band members to join him in forming a new orchestra. When Franco returned he was able to convince most of the defectors to come back, but Verckys, unrepentant, launched Orchestre Vévé in 1969. He later managed the careers of up-and-coming bands like Les Grands Maquisards, Bella-Bella, Lipua-Lipua and Empire Bakuba. There was a distinct Verckys sound or "school" exemplified by these groups, which was influential across Africa as I discuss in this post..
By the early 1980s Verckys had established himself as an emperor of the Zaïrean music scene to rival Franco himself, with his own recording studio, record label, nightclub, pressing facility and a stable of the hottest bands in Kinshasa, including various Zaïko Langa-Langa offshoots and Victoria Eleison. The 45s I offer here were borrowed from various friends and dubbed onto 10" tape reels back in the '80s. Several years ago I digitized them, along with a number of other recordings in my library. Unfortunately I didn't think to photocopy the labels, but I copied the recording information from them. These were all pressed in the mid-'70s in Kenya. Orchestre Bella-Bella was founded in 1969 by the Soki brothers, Emilie Diazenza and Maxime Vangu. When they hooked up with Verckys and his label Editions Vévé this caused a fair amount of disagreement within the band, leading to the departure of a number of members in 1972. The result, though, was the accession to Bella-Bella of several musicians who were to become leading lights of the Kinshasa music scene, including Malembu Tshibau, Shaba Kahamba, Pepe Kalle and Nyboma Mwan'dido. Dissension continued, however, and Emile left to form his own short-lived group, Bella Mambo, only to rejoin a few months later. By 1973, feeling ripped off, the brothers left Editions Vévé, taking the Bella-Bella name but leaving behind their musical instruments, which were owned by Verckys, and a number of musicians including Pepe Kalle and Nyboma, who became the foundation for a new band, Orchestre Lipua-Lipua. 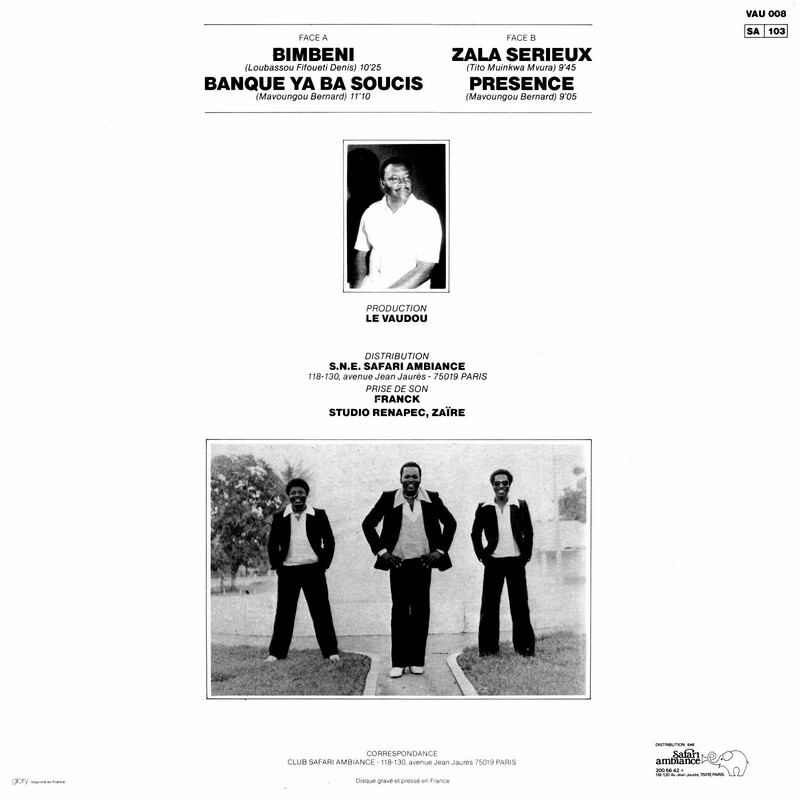 The two Bella-Bella songs here, "Pambi Ndoni" (Bilanga Bl 001) and "Nene"(Editions FrancAfrique EFA 08), were both written by Soki Vangu around 1975 after the break with Verckys. The late '70s were the peak of Bella-Bella's influence, and the group waxed numerous classics including "Tika Ngai Mobali," "Houleux-Houleux" and "Zing Zong." In 1977 Soki Diazenza apparently suffered a nervous breakdown. It was all downhill for Bella-Bella from that point and by 1981 it had effectively disappeared. Lipua-Lipua winds things up with Tedia Wamu Mbakidi's scorcher "Temperature" (Editions Vévé VV 228N) from 1977. Nzaya Nzayadio's vocals and Santana Mongoley's lead guitar really make this one a standout. Lipua-Lipua would continue on for several years until sputtering out around 1984. Vata Mombassa pursued a solo career, ending up in Abidjan, Ivory Coast where he remains to this day. Download the songs in this post as a zipped file here. For more information on Verckys and his label Editions Vévé, see Alistair Johnston's discography here. The liner notes of Vintage Verckys (Retroafric RETRO 15CD, 2001) were very helpful in researching this post; in addition the blog Classic Ambiance: Franco and Pepe Kalle Flashback is highly recommended. African Rock: The Pop Music of a Continent by Chris Stapleton and Chris May (Obelisk/Dutton, 1990), Congo Colossus: The Life and Legacy of Franco & OK Jazz by Graeme Ewens (Buku Press, 1994) and Rumba on the River by Gary Stewart (Verso, 2004) are all excellent reference books. All of these may be purchased or downloaded by clicking on the links. 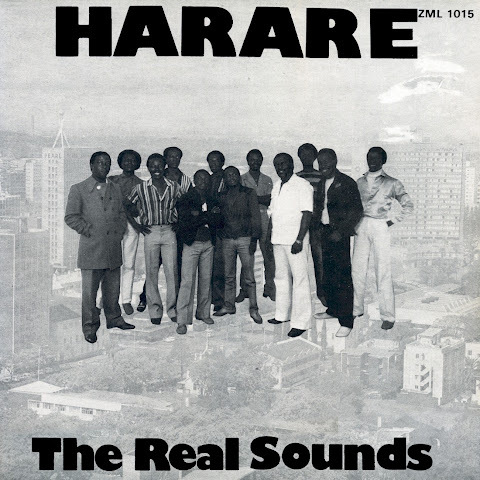 A major force in the Zimbabwe music scene of the 1980s, the Real Sounds of Africa were in fact founded by a group of Congolese musicians in Zambia in 1975. 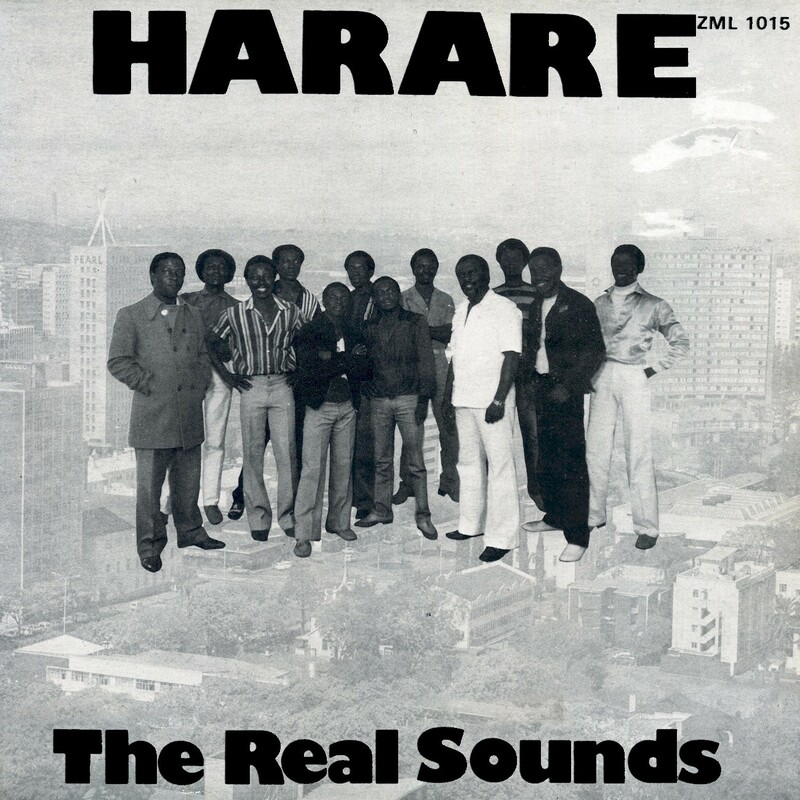 Moving to Zimbabwe (then Rhodesia under the white-minority government of Ian Smith) in 1978, they became an immediate sensation, releasing their first LP, Harare (Zimbabwe ZML 1015), in 1984. The foremost Congolese-origin band in Zimbabwe, the Real Sounds forged a unique blend of rumba music and indigenous sounds that they called rumbira. Success followed upon success, and in 1986 the group toured Europe, releasing two albums in the UK, Wende Zako (Cooking Vinyl COOK 004, 1987), and Seven Miles High (Big Records BIG 1, 1989). I don't know what has become of the Real Sounds, but their music, especially their football songs, continues to be popular to this day. Enjoy Harare! Download Harare as a zipped file here. 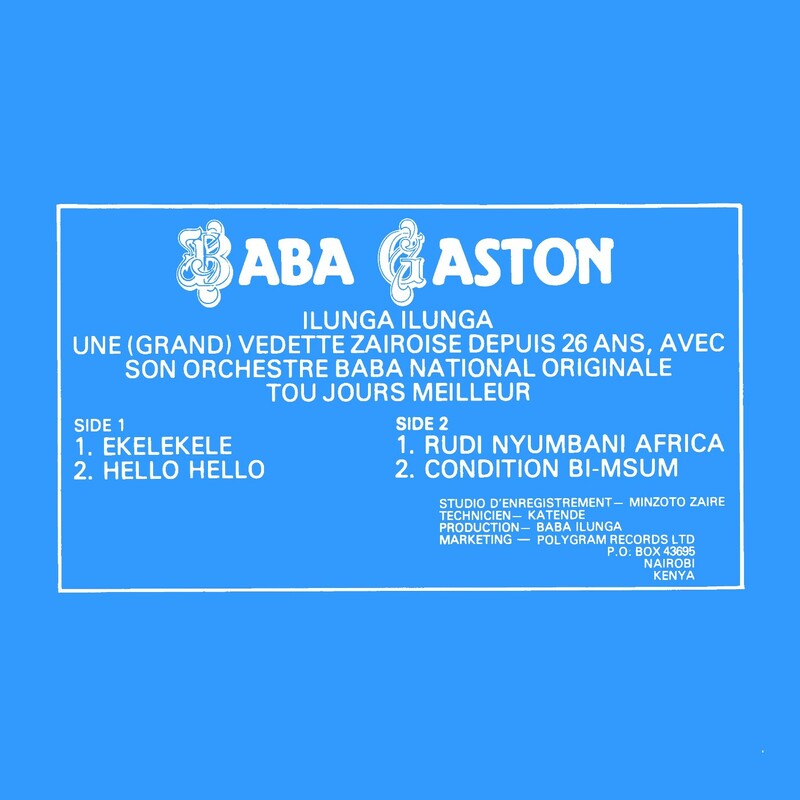 Congo music doesn't get much smoother and more elegant than Bumba Massa's 1982 outing L'Argent et la Femme (Star Musique SMP6017), recorded in Togo with the participation of Bopol Mansiamina, Syran Mbenza and Lokassa ya Mbongo, among others. When I posted Bumba's 1983 LP Dovi earlier this year, I promised this one would be coming your way also. Enjoy! Download L'Argent et la Femme as a zipped file here. Best-known for his work with the super-group Kékélé and last year's release Apostolo, the honey-voiced Bumba Massa is one of the great unsung heroes of '80s Congo/Zaïre music. Born in Kinshasa in 1945, in 1963 he founded Orchestre Cubana Jazz with Empopo Loway and Siongo Bavon Marie-Marie, the younger brother of Luambo Makiadi Franco. He then progressed to work alongside Johnny Bokelo in Conga '68 and with Vicky Longomba in Lovy du Zaïre, before joining Franco's TPOK Jazz in 1976. 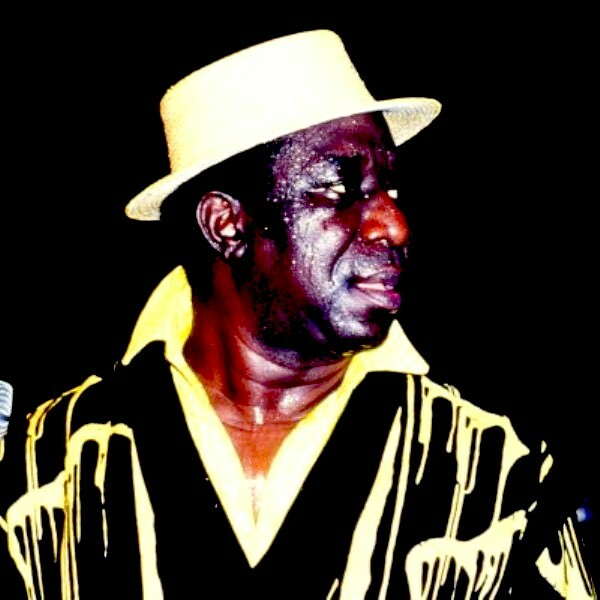 Bumba Massa launched his career as a solo artist in 1978 with a tour of West Africa, ending with the release in 1981 of Gare à Toi Mon Ami in Ivory Coast. Despite a number of outstanding releases like l'Argent et la Femme and Dovi in subequent years, Massa was unable to really "break through" on the international scene (l'Argent et la Femme did receive some limited distribution by Brooklyn's African Record Centre) until 2001, when Kékélé's first recording Rumba Congo (Sterns STCD 1093) brought the sounds of classic Congo music to a new generation. Listen to Bumba Massa's brilliant 1983 outing Dovi (Syllart SYL 8306) and understand why I consider the 1980s the last "Golden Age" of Congolese music. Recorded in Paris under the direction of the great producer Ibrahima Sylla, and with the participation of outstanding sidemen like Pablo Lubadika Porthos and Syran Mbenza, it stands as a pinnacle of the sound: smooth, seemingly effortless and sublime. If you like this one, in the future I will post 1982's l'Argent et la Femme, which is almost as good. Download Dovi as a zipped file here.